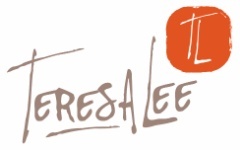 This website is owned and operated by Teresa Lee Photography, Inc. (Teresa Lee Photography). Teresa Lee Photography is a trusted provider of photographic products and services to communities, schools, churches, day care centers and families throughout the United States. At Teresa Lee Photography, we are sensitive to the privacy concerns of visitors to our websites. Though we do not obtain any personal information that individually identifies you (e.g., your name, address, phone number, e-mail address, etc.) unless you affirmatively provide it to us, many visitors do choose to provide us with such information. This policy explains our online information practices pertaining to this website and the choices you, as a visitor to this site, can make about the collection and use of your information. What personal information is collected at TeresaLeePhotography.com? How is it used? - for our own marketing and promotional purposes. Teresa Lee Photography does not sell, trade or share the information you provide us through this website with unaffiliated third parties for their marketing purposes. Finally, we may also share this information with outside vendors and organizations that provide support services to us such as helping us fulfill customer orders, process credit card orders and the like. If so, these parties are authorized to use the information solely in conjunction with the specific service they provide to or on behalf of Teresa Lee Photography. Within the Teresa Lee Photography, we protect against unauthorized disclosures by limiting access to employees and contractors of the company who need the information to do their jobs. We also give them guidelines for adhering to our confidentiality policies. In the limited circumstances that we provide information to outside companies, we restrict it to only the information we believe is appropriate to enable them to carry out their responsibilities under our contracts. We require that the information provided be used only for the specifically authorized purpose and that its confidentiality be maintained. In addition to personal information you provide us through this website, teresaleephotography.com uses technology that lets us know what type of browser you are using, the website from which you enter teresaleephotography.com, and the pages you view as you tour our site. This technology does not identify you personally ? it simply helps us compile statistics about our visitors and their use of our site. We use these statistics and share them with third parties to improve our website design and content and in connection with marketing programs. A "cookie" is a small data file stored by your web browser on your computer's hard drive. Cookies are necessary to use the site. A cookie allows our web server to balance customer traffic on our website to enhance performance of the service. If you disable your cookies, you may not be able to visit our site. After you end your session the cookie from the web server will remain on your computer until you manually delete it. No personal information is stored on this cookie. Accepting cookies through your web browser is your personal choice. However, if you choose not to accept cookies, you may not be able to take full advantage of some of this website's features. Please be aware that websites that link to teresaleephotography.com may collect personally identifiable information about you. You should consult the other sites' privacy policies as we have no control over information that is submitted to, or collected by, these third parties. As a fast paced studio, Teresa Lee Photography will not refund monies paid to reserve a session or package. Sessions may be rescheduled at the client's request to another available date. Session Fees, Weddings, and Pre Paid packages are non-refundable. Any images that are purchased are guaranteed against damage and defect. The client must return the damaged/defective image to the studio within 7 days of original delivery. The studio will replace the identical damaged or defective image at no cost the client. No refunds will be given based upon composition of ordered images. Meaning, if you decide after you have ordered an image that you do not "like" the image and want something different, no refund or exchange will be given. Pre Paid Packages are non refundable. By pre paying you are receiving a tremendous discount from the ala carte price. The time and date may be rescheduled for a future date or transferred to another type of session or to another person, but under no circumstance is it refundable. If you choose Cash, Check or Money Order as payment type, you are fully responsible for making that payment at the agreed upon time, even if you cancel your appointment, order or package. At the time you place the order, Teresa Lee Photography immediately reserves the assets for your session, package or product order. Meaning from the moment your place the order, Teresa Lee Photography will refuse other orders for your time slot, and/or process the print or digital images. If you do not pay at the agreed upon time, Teresa Lee Photography may seek legal recourse to collect the funds. Teresa Lee Photography retains the right to assign any team member to the session, wedding or event. Team member assignment may change without notice.